BYU students catch air, then immerse themselves in the now-traditional Homecoming event that leaves them looking, but not feeling, blue. 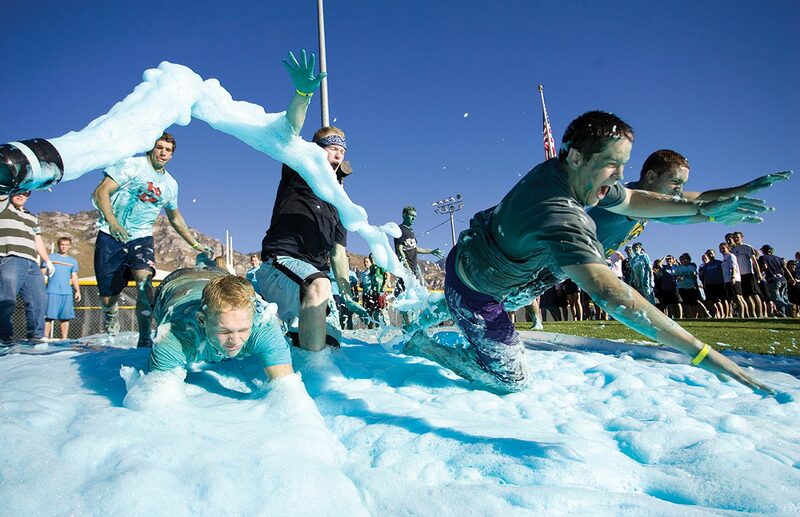 On a field of firefighting foam colored with school spirit, students last October romped in a rousing game of frothy football or glided, eyes-half-open, down a sudsy slip-n-slide. True Blue Football—a less gritty replacement to yesteryear’s game of mud football—was formulated more than a decade ago to envelop and entertain active student bodies.